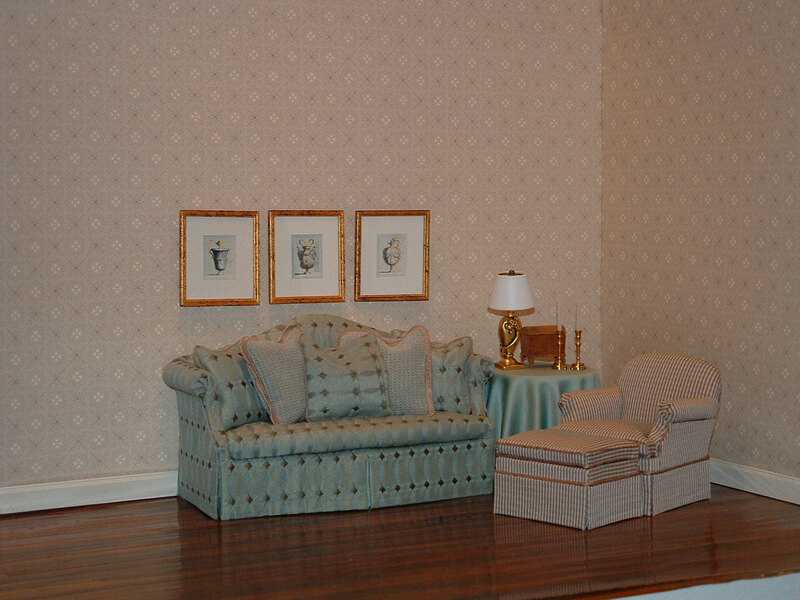 As an interior designer, Marcia puts her skills to good use in creating room scenes. 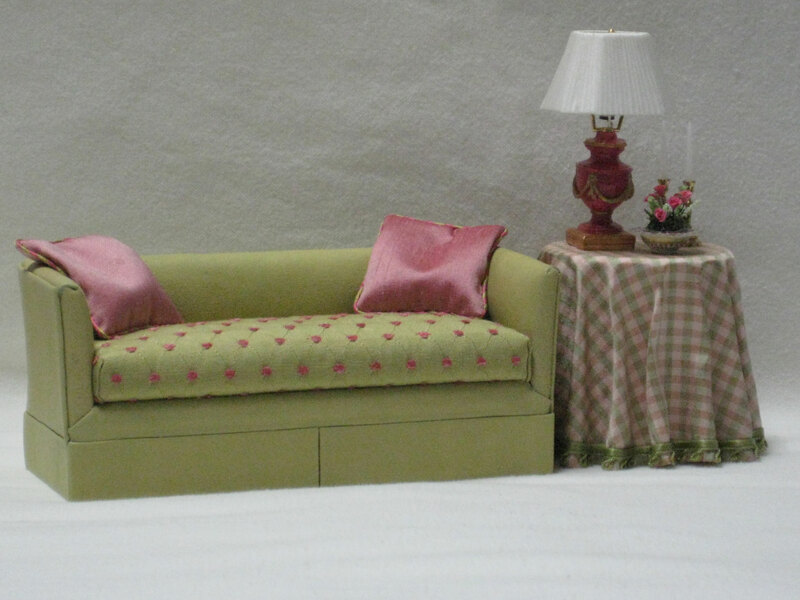 She upholsters couches, chairs and pillows in matching, contrasting and coordinating fabrics. 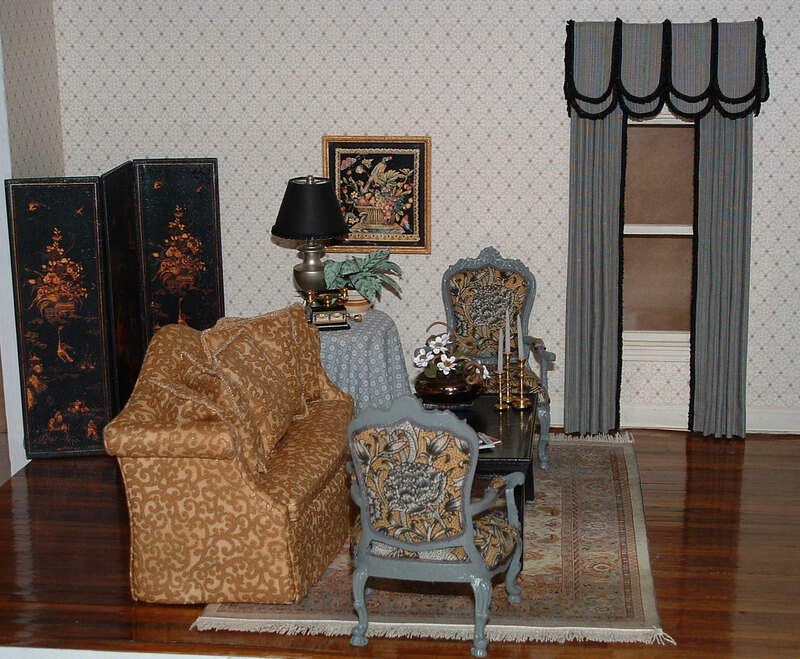 Often a skirted table and a few accessories finish that miniature room perfectly. 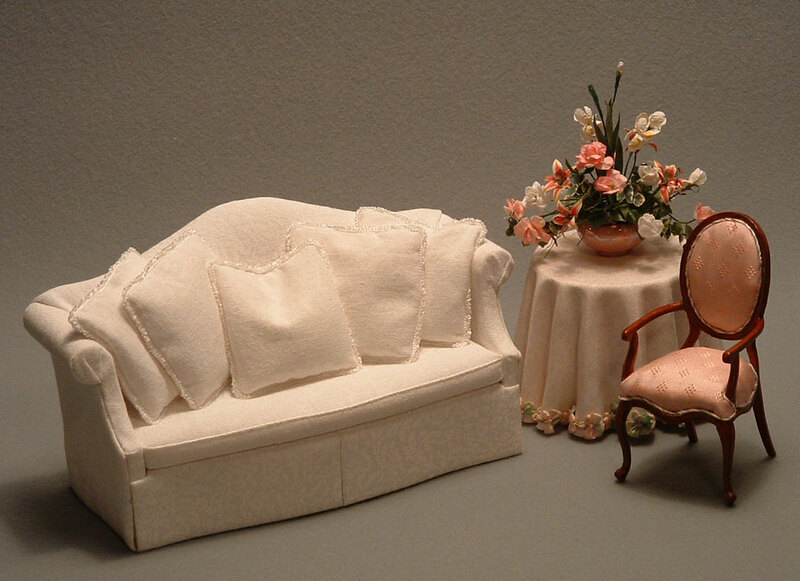 If you have a design, fabric, or furniture in mind (or simply want some help), please email Marcia! In the meantime, click on any of the photos in the photo gallery below for a large picture of each setting. The coach and two straight chairs. They may also be used as dining chairs. 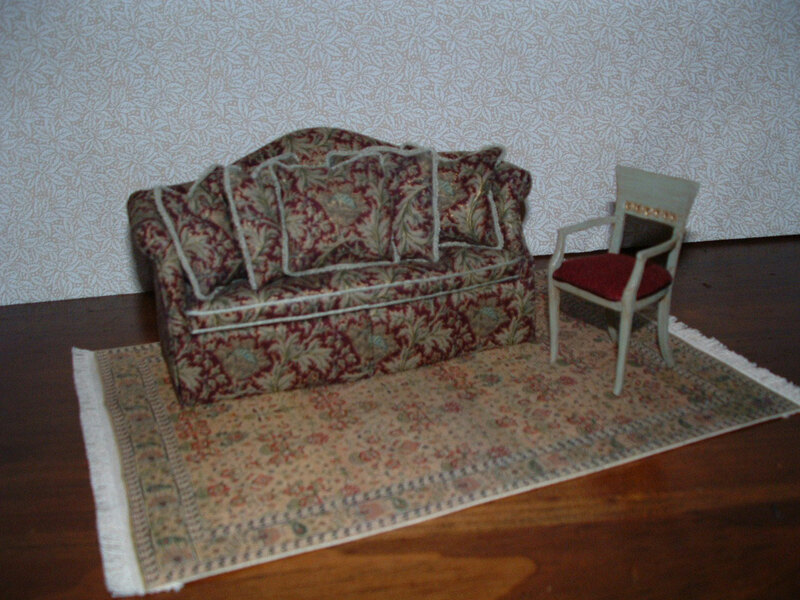 A couch with coordinating chairs.